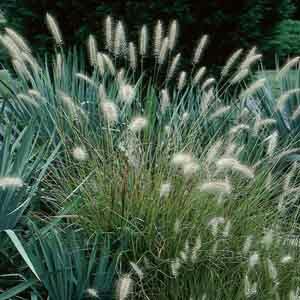 Valued for its fine-textured foliage and compact growth habit. Showy white flower plumes are an added bonus. The flower heads make interesting additions to cut flower arrangements and can be dried for use in crafts. 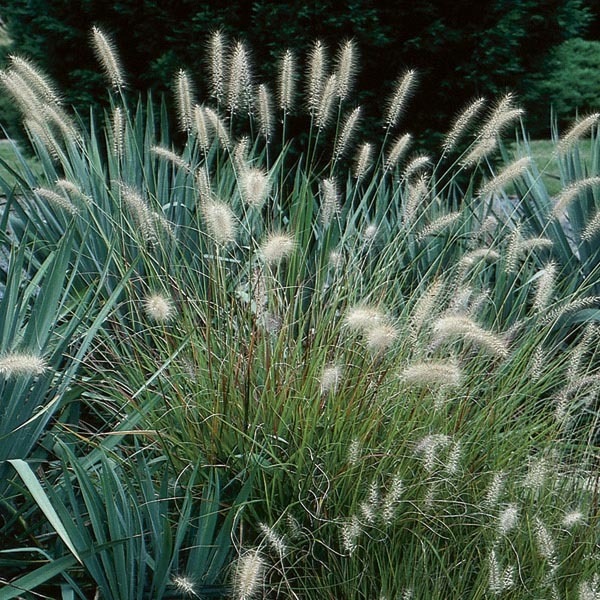 Few plants rival grasses for their beauty, grace, and year 'round interest. The perfect choice for beds and borders. Looks great in rock gardens. Nice for larger patio containers or as a centerpiece in combination plantings. Leave plant through the winter. The dry foliage adds interest to the winter landscape and will provide nesting material for birds in the spring. Plant in fertile, well-drained soil. Allow soil to dry between thorough waterings. Cut back in early spring as new growth appears. Mulch to protect over winter.